Two bored kids. One rainy day. And one crazy cat wearing a red-striped hat. In 1957, Theodor Seuss Geisel used this formula and only 200 words to write his second children's book as Dr. Seuss. 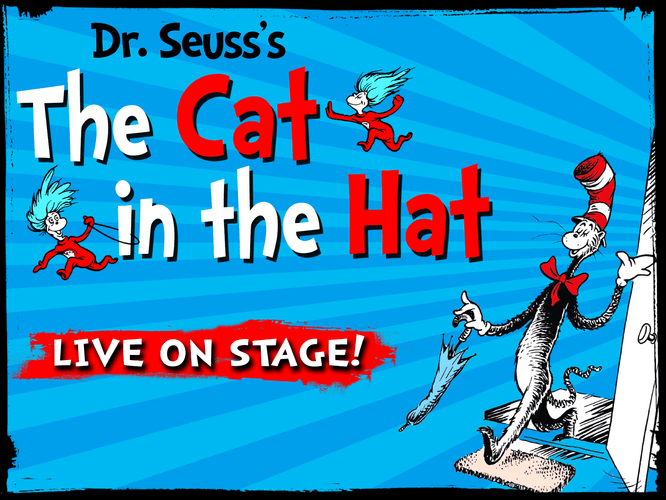 More than 50 years later, The Cat in the Hat is a much-loved children's phenomenon. The play was adapted for the stage in 2009 by the National Theatre of Britain. The Cat in The Hat interrupts this rainy afternoon with his unexpected visit to Sally and her brother's cosy home. Their outspoken and outraged pet Fish is astounded and concerned, but this cat will not be deterred. He will teach us all to make our own fun with nothing but a little imagination. "It's fun to have fun, but you have to know how." 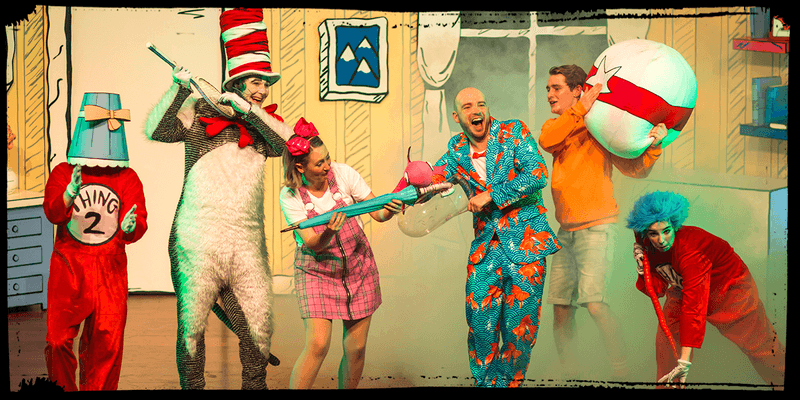 Along with Thing One and Thing Two, the cat will fill the theatre with mischievous humour and madcap style. 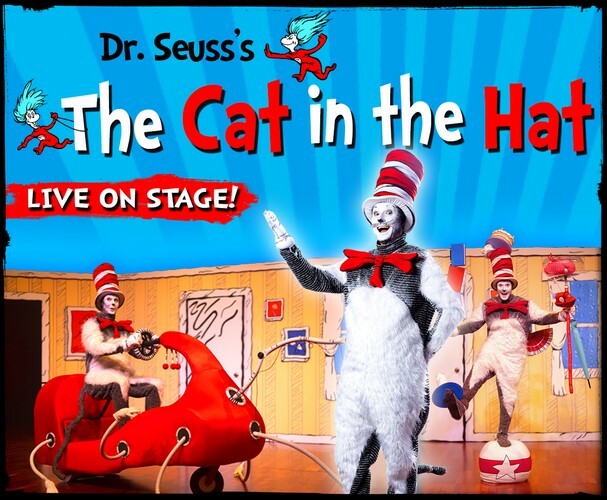 Young and old alike will delight in this faithful adaptation of a classic book come to life before our very eyes. Spoiler alert: Things run a muck, and quickly!